While local protesters gathered in a peaceful vigil remembering the life of Walter Scott, in our own city Mack Long died in a police action shooting on the near East Side. Many questions have risen surrounding his death and local law enforcement has not been transparent with the circumstances. 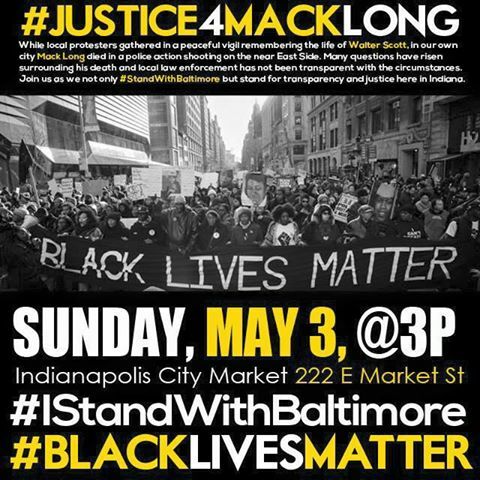 Join us as we not only #StandWithBaltimore but stand for transparency and justice here in Indiana.